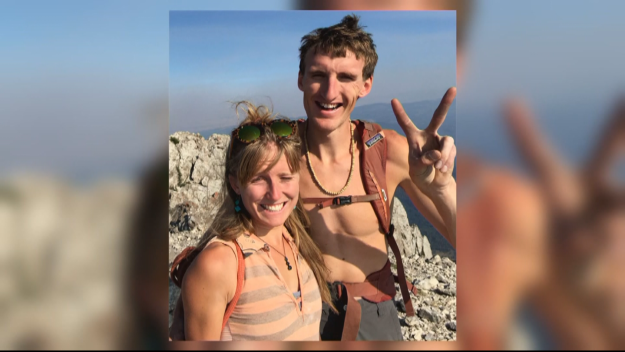 Gallatin County sheriff's officials say Kennedy, 27, and Inge Perkins, 23, were skiing on Imp Peak in the southern Madison Range on Saturday when they triggered an avalanche in a steep, narrow gulley at about 10,000 feet above sea level. Perkins, also an accomplished mountain climber, was buried by the 150-foot-wide slide. Kennedy, who was partially buried, pulled himself free and hiked out for help after he couldn't find his girlfriend. The area had received a foot of snow since Oct. 1, which was on top of about 4 feet of dense snow that had fallen over the previous two weeks, according to the Gallatin National Forest Avalanche Center. In 2014, a headline in Elevation Outdoors declared: "Hayden Kennedy may be the best young climber on the planet."